Today President Putin retired Chief of the General Staff Nikolay Makarov. 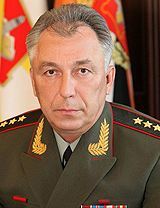 An old hand, currently Commander of the Central MD, General-Colonel Valeriy Gerasimov replaces him. 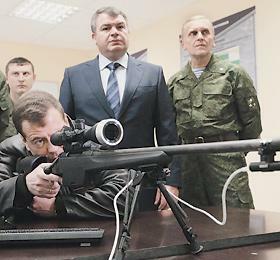 Putin also dropped First Deputy Defense Minister Aleksandr Sukhorukov (who’d had responsibility for armaments). Western MD Commander Arkadiy Bakhin replaces Sukhorukov. 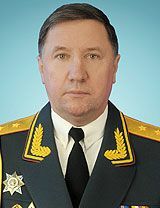 Aerospace Defense Troops Commander, General-Colonel Oleg Ostapenko also becomes a deputy defense minister. Here’s the ukaz on the appointments, and on the dismissals. Serdyukov didn’t have one. Perhaps all is not sweetness and light with the defense order in 2012. Last Thursday, Defense Minister Serdyukov conducted an extramural ‘board of directors’ meeting in St. Petersburg. The agenda had two publicized items — forming the new Western Military District (MD) and antiterrorism. In its coverage, ITAR-TASS noted that recommendations from forming the ZVO will be applied to the new Southern, Central, and Eastern MDs. After the collegium, General Staff Chief Nikolay Makarov told journalists that work on the ZVO was being closely analyzed, and all issues had been resolved in the main. But its command doesn’t fully recognize the importance of its tasks, and its combat training demands higher quality work. Makarov called this a consequence of the fact that, for 15 to 20 years, almost 85 percent of officers in command and control organs didn’t command troops. Of course, Makarov considers himself a ‘troop general’ and that 85 percent figure makes it easy for him to oversee cutting the officer corps by 50 percent. Makarov said the terrorist attack near Buynaksk was being closely analyzed, and noted that commanders didn’t take measures necessary to protect their people. But the tasks essential to countering terrorist threats have been identified. 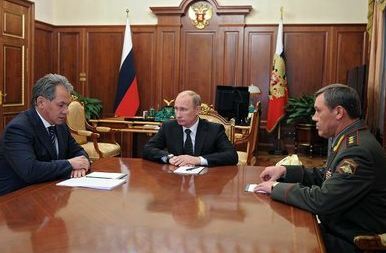 Krasnaya zvezda reported that Serdyukov met human rights organization representatives during a break in the collegium. More on this later. 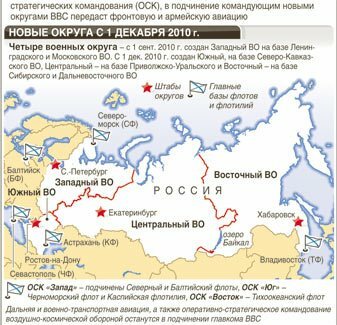 Late Thursday Interfaks learned that Defense Minister Anatoliy Serdyukov signed an order naming acting commanders of Russia’s four new military districts, or operational-strategic commands (OSKs). 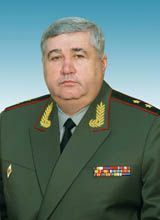 Volga-Ural MD Commander, General-Colonel Arkadiy Bakhin will be the interim commander of the new Western MD. Siberian MD Commander, General-Lieutenant Vladimir Chirkin will temporarily head the new Central MD. Pacific Fleet Commander, Admiral Konstantin Sidenko will command the new Far East MD for now. And North Caucasus MD Commander, General-Lieutenant Aleksandr Galkin will head the the new Southern MD. Serdyukov wants the new command and control scheme operating from the start of the new training year on 1 December. Kommersant noted general surprise that a naval officer was picked to head the Far East MD. Ground Troops generals have always commanded the army-dominated MDs. But a Navy Main Staff source said Sidenko is not new to commanding army units; he once commanded the combined Navy-Ground Troops force on Kamchatka. Kommersant also said extramural Defense Ministry collegiums will evaluate the effectiveness of these reorganizations before the end of the year. 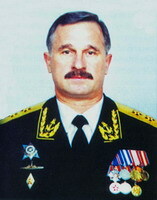 Bakhin, Chirkin, and Galkin prospered under General Staff Chief Nikolay Makarov when he was Siberian MD Commander from 2002-2007. Each of them served as an army commander, deputy MD commander, and chief of staff, first deputy MD commander under Makarov in Siberia (or immediately after his departure for Moscow). Chirkin served as Bakhin’s chief of staff, first deputy commander of the Volga-Ural MD, before becoming Siberian MD Commander this year.